If you have not done so during registering the Joomla Account, you will find a menu item in your user menu where you can create your jOpenSimWorld account. Viewers are listed in the Link collection. 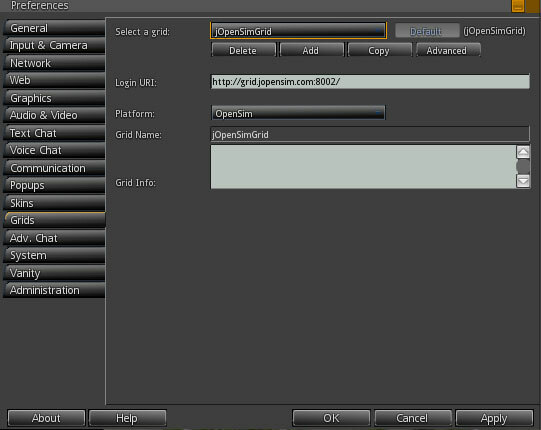 In the grid manager of your viewer, enter http://grid.jopensim.com:8002/ and click on "get grid info". 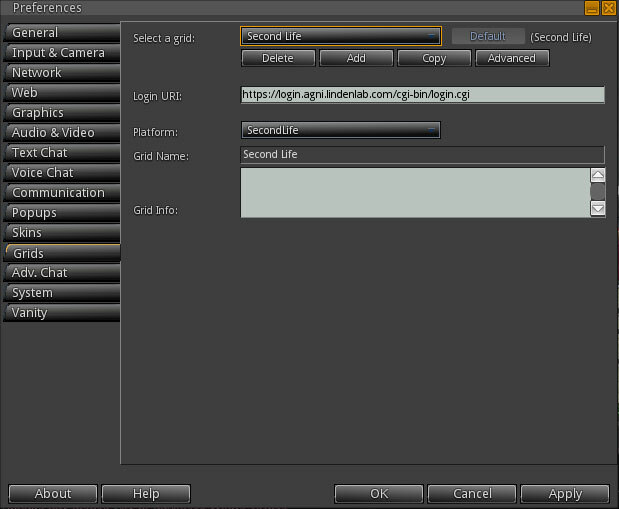 Once the connection is saved, you can login with the details of your above created jOpenSimWorld account. Accessing the grid for the first time.
! !IMPORTANT !! For Singularity viewer only!!! 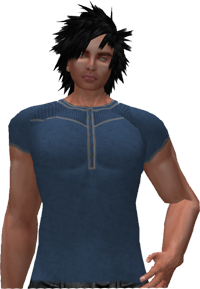 When you first install compatible viewers (Singularity Viewer) you are required to supply the grid URI. 1. Click the button to get the grid list. 2. 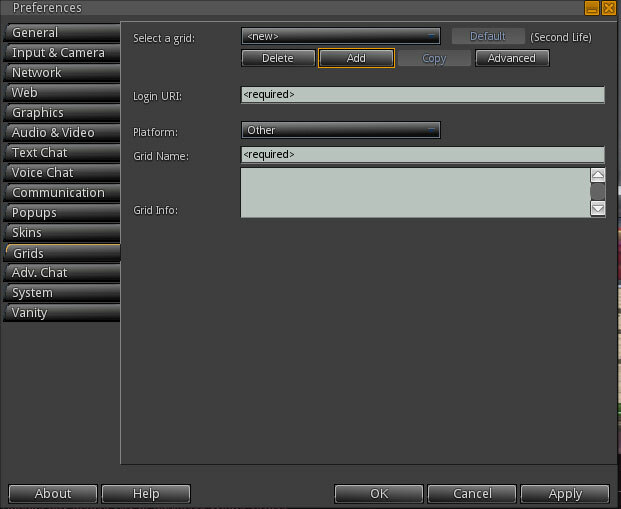 Select the button to start entering new grid settings.